That is how the role of what digital media seems to be playing in the real estate business. For an industry where people play a crucial role, and the ticket sizes sweep away GDPs of countries, inculcating the use of digital media in real estate has been a mammoth of a task. But what has worked for few players in this field is few consistent activities. This is in line with what the industry demands too – less commotion, more information, for effective decision making. At the core, it’s all about the quality of content created and shared. A real estate business would benefit from these digital approaches and we documented the 5 essentials that can help real estate businesses grow. You need to stay on top of your client’s needs, respond quickly, and anticipate trends. CRM’s specialize in shaping the customer experience, not just organizing client contact details and property specs. In the business of real estate, a CRM can be your one stop database of all information, help you manage data about assets and inventory, organize contracts and transactions, manage marketing campaigns, track the availability of homes … etc. 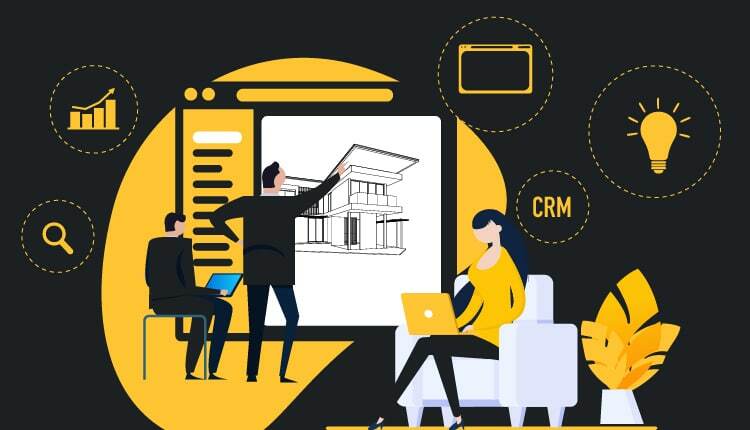 In United Arab Emirates, one name that comes to the mind’s of real estate brokers, developers and asset management companies when it comes to an enterprise grade CRM is Masterkey. Masterkey has evolved with 14 years of experience and offers solutions that helps you run a successful real estate business. The decision of buying a home is as good as having a child. It is a milestone decision in an average person’s life, and anything that showcases it needs to be as good. If you are an individual looking to buy a property, then this could be the first and last purchase! Investors on the other hand trust the agency they deal with more often. Most likely the first source to look for properties would be real estate portals – like dubizzle in Dubai, whether you want to buy a property in Dubai or rent. It’s a great place to access the market and get an overview of the market and compare prices. Eventually, individual the buyer makes a decision to work with an agency who is professional and helps them through the process. Thus, having a website that can help re inforce the reputation of the agency is very important. When designing and planning the website of a real estate agency, one needs to understanding the user navigation pattern, requirement of information, accessibility of details…etc. All of this need to be presented well and in a manner that keeps the user engaged on the website which eventually leads to an action. Having a responsive website which is easy for use on the mobile and tablet devices is a need now more than anything. But just having a website is not always enough. With various real estate projects in every neighborhood, differentiating your USP to another’s is a challenging task. One way of reducing this is through optimizing the relevance of your website through its search engine ranking for effective keywords. Depending on the search volumes, pick on the keywords that rank highest and also relevant to your content on website, and curate content as applicable. What we would suggest and conclude based on user behaviour is that an agency needs to distinguish itself from a portal. Having a complete list of properties with all the relevant information is great on your website too – but do not try to be a portal that lists properties. As an agency, your website needs to reinforce trust and shout out as to why should someone choose your over the rest. If buying a home is all about getting on the growth graph, then it’s a lot more about the first few emotions someone feels, the experiences they envision and the dreams they build. The story of every user can be captured and shared with the world through the digital media, not just as a promotion but even a testimonial. Invest in capturing those moments and distributing them on the right channel. Sometimes, if the feature of the house that has an engaging story. It could be features of the house, or its history or perhaps the location and the view. The creation of creative content and the art of articulating it can also be distributed on channels – which helps in attracting the audience that can connect with the story. Here is Andrew Cummings, the co-founder of LuxuryProperty.com doing a fantastic job at story telling and creating content that is relevant. One of the lengthiest processes to drive a potential customer to a real estate project includes making them aware of your brand, building its credibility through the content communicated, and managing online reputation, providing exact details as required for the customer to become informed and interested enough to come and visit your project. Social media has taken every working industry by storm. It is being used not just for business, but also to reveal facts and information which a customer would previously be denied or derived of. Managing the reputation of real estate businesses, especially in turbulent times, is of major importance. This can be done through assessing queries or any concerns put up by potential or existing customers, answering them real time and building credibility rather than swaying towards any misunderstandings. This channel is best handled by in-house team but with the right assistance, can be undertaken by your digital marketing agency as well. With the increasing use of programatic advertising and inbound marketing, marketeers are able to target advertising to those who are “really” interested in what is being sold. The strategic approach to advertising can help spend those marketing dollars towards the right audience. A connected environment where your CRM tracks all the data, landing pages on your website can be used for lead forms, email campaigns that are targeted to the right audience to give knowledge and not sell, and advertising through search and social is more driven by interest and retargeting should be the right approach. Both real estate and digital marketing are of a highly technical nature. This could be a reason why, perhaps they have a certain synergy in coming together effectively, and attempts are still on to make it a seamless transition to happen, but the day is not far when digital would be the soul approach for real estate industry. Essentially the use of Virtual Reality can even provide the experience of viewing the property without physically being there and combining that with live broadcast of the experience can make way for a 2 way communication too. There is so much more that digital and technology can contribute to real estate – and we will continue to talk about it further. 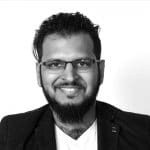 DISCLAIMER ALERT: We are a web design agency in Dubai, and both – Masterkey and dubizzle (who are mentioned in the context of this article) are clients of Conceptualize.